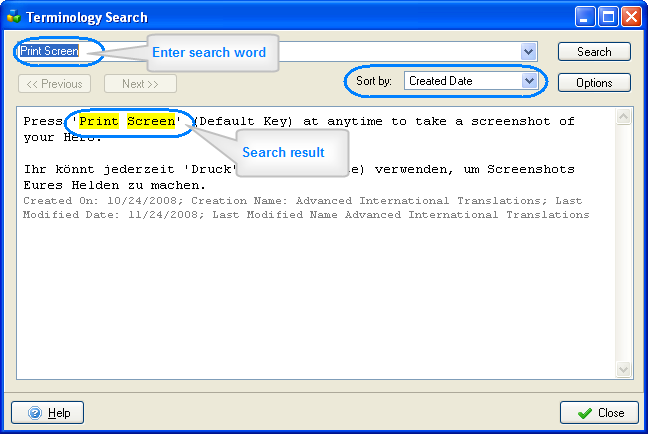 Terminology search: AnyMem 2.0 can search translation memory for matching segments which contain certain term. Click any of the screenshots below to view full image. 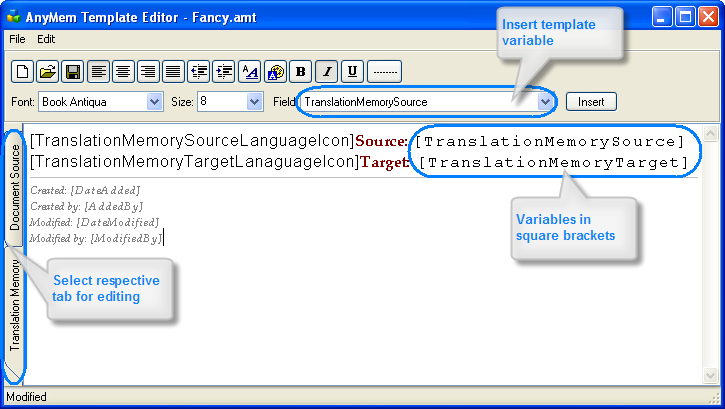 General view of AnyMem – User-Friendly Translation Memory in use. 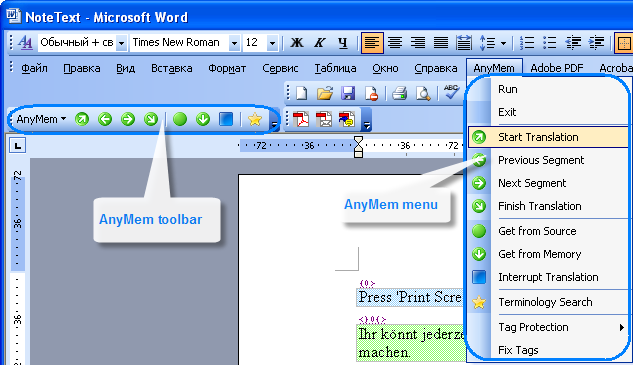 AnyMem menu, built-in MS Word. 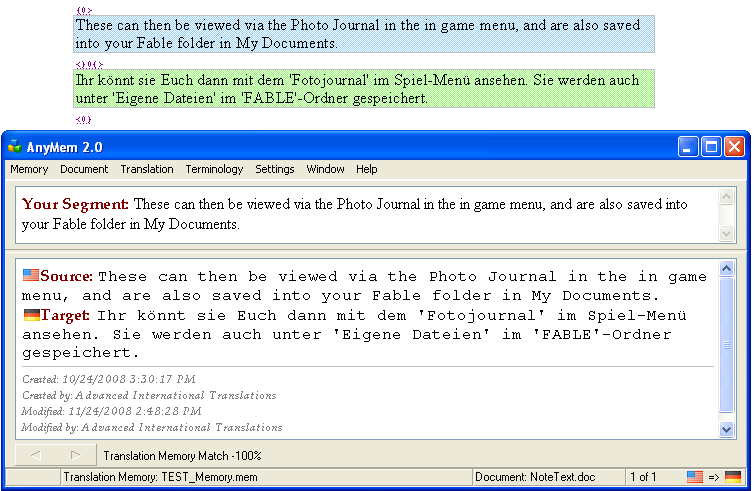 Connecting files for translation to AnyMem. 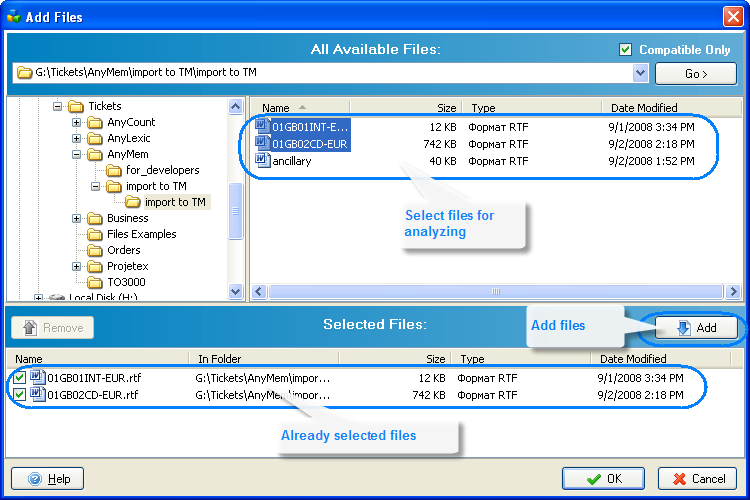 Template editor window. How change the format of data displayed in Source and Translation memory fields. AnyMem and MS Word windows alignment. Configure translation memory window. Set segment rules, abbreviation list, ordinal followers, matching rules, colors, etc. Add files for analyzing: obtaining count of full and fuzzy matches. Result window of full and fuzzy matches.